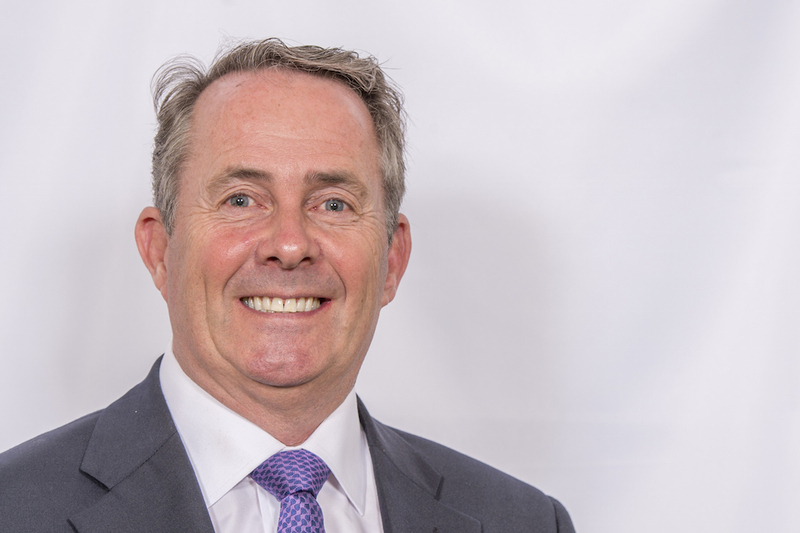 Below is the text of the speech made by Liam Fox, the Secretary of State for International Trade, on 8 March 2018. It’s a pleasure to be here today at the British Chambers of Commerce Annual Conference, and a privilege to be invited to address the representatives of some of this country’s most distinguished businesses. For more than a century and half, the constituent chambers of the BCC have protected and promoted Britain’s businesses. In all that long history, the chambers have always been resolutely outward-facing, and eager to support global ventures. And that expertise is especially valuable at this pivotal moment for our country. If you read some of our national publications, you could be forgiven for thinking we were about to enter some kind of economic black hole. Nothing could be further from the truth. We are seeing record foreign direct investment here in the UK; and our outward direct investment stock is now at £1.2 trillion, bringing prosperity at home and abroad. Our country’s traditional strengths are prospering just as much as our new ones. We’re seeing record tech start-ups – 8,000 in the last year; but manufacturing order books are also well above their long-term trend. Our employment levels are at an all time high and our exports of both goods and services are booming as an increasingly large global middle class is able to access the high quality products that Britain has to offer. Investors continue to show their confidence in the UK. When we ask them why they choose the UK they tell us that our legal system is second to none, we have a skilled work force, a low-tax and well-regulated economy, cutting edge tech, some of the world’s best universities, we speak English and we are in a great time zone for global trading. Some black hole. In fact, it is a time of historic opportunity. There are great prizes for our economy as we leave the EU in this era of globalisation, if we have the courage to grasp them. In fact global trade is leading our economy forward: exports rose by over 11% last year, 6 times faster than the economy as a whole. They reached well over £600 billion in 2017 . The EU will always be a very important part of that, and this government has been clear that we want a deep and special partnership with the EU. But we cannot let the practices and patterns of the past constrain the opportunities of the future. In just 10 years the proportion of our exports that go to the EU has dropped by 11 percentage points. And this is not a one-off change. Over the next decade or so, 90% of global economic growth is expected to be from outside the EU. That could be reinforced as a higher proportion of trade comes from services, and transport costs for goods decrease: both of these trends could reduce the importance of geographic distance. In my speech at Bloomberg last week, I spoke about how patterns of global trade were changing, and how shifting global prosperity will change the pattern of demand for goods and services. I will not repeat all the arguments here. But if you consider the fact that, by 2060, there are predicted to be 1.1 billion middle class Africans – all demanding luxury food, cars, consumer goods and services – then you can begin to glimpse the potential that the future holds. And London is the global financial centre with the closest time zone to the African continent, and therefore a natural choice to finance this growth. China is another example. Because the Chinese economic phenomenon is now 40 years old it’s easy to become inured to the statistics, and forget how vast this opportunity is. But every year China adds an economy the size of Switzerland to its GDP. By 2030 China will have 220 cities with more than a million people. The whole of Europe will have 35. Last month the Prime Minister and I went to China, for me the second visit in a month. While I was there I met the mayor of Wuhan, a city of which few in Europe have heard. Yet it has a booming economy and a population larger than London. It’s this kind of dynamism the UK can tap into. No one knows the capability of British businesses better than you. Our firms are world-leading repositories of talent, knowledge and expertise. But the government is not complacent here; and we can never rest on our laurels. We are building the economic base that will help our country compete on the world market. Our firms lead the world on innovation, research and the deployment of new technologies. Nonetheless, we have committed to raising the proportion of our GDP spent on research and development to 3%, which would put us in the top quartile of OECD countries. And UK businesses have unbeatable offerings on healthcare, infrastructure and education, that have enabled us to build a trade and development programme that is the envy of the world. Nonetheless, our modern Industrial Strategy is making sure we have the right infrastructure, market frameworks, skills base and business support to build a strong economy. My department is also working with businesses across the country to increase exports and investment. Many are members of the British Chambers of Commerce. Some are represented here today. They are the wealth-creators of society. Everything that my department does is designed to help them in that role. Department for International Trade advisers based in 108 countries around the world are providing targeted support for those high-value export and investment opportunities that contribute the most to the UK economy. And DIT also has an extensive range of resources available to SMEs and new exporters. In 2016 to 2017 UKEF provided £3 billion in support, helping 221 UK companies sell to 63 countries around the world. 79% of these companies were SMEs. And we are currently piloting a new Global Growth Service, increasing our support for those medium sized businesses with international ambitions. I understand that elements of DITs offer to companies is remarkably similar to Export Britain – the BCCs own online resource. This allows us almost unlimited scope to work together. And of course, DIT will forever be indebted to the BCC for the tireless work that you have done for the UK’s exporters. Today is, of course, International Women’s Day. One of this gathering’s key themes is diversity in business, and I am pleased that the BCC takes gender equality as seriously as the government. I am proud to lead one of the best-performing departments in Whitehall when it comes to women in senior roles. But there is more to do, and the British government is committed to achieving gender equality at all levels of society, and in all walks of life. Internationally, we have championed the cause of e-commerce which offers unique opportunities for women, including those in the developing world, to have a future in the global economy. It is a future that we all want to see. But this country is also facing a wider choice about its own future. Because we should not just be looking to maximise our existing opportunities – not when the pattern of global trade is due to change so significantly. We have to look for and create new opportunities. So our approach should not be premised on simply identifying how much of our current relationship we want to keep, but what we need to prosper in a rapidly changing global environment. Before leaving the European Union, the UK’s trade policy is centrally coordinated from Brussels, exclusively in the interests of the EU. Soon, we will have more control over our own economic and political destiny than at any time in the past 4 decades. This government, and the Department for International Trade, is clear about the kind of Britain that we want to build. We want a Britain that is open to the opportunities of the world – a country that treads a path to prosperity based not in protectionism, but in openness and economic cooperation. It is a vision that is, I believe, shared by many of you in this room. And it’s a vision that can be shared by many overseas, if we have the courage to embrace the opportunities of the future. We want to maintain our existing links with partners outside of the EU. We’re negotiating our new schedules at the WTO. We’re working to roll-over existing EU trade agreements – and we’re taking the Trade Bill through Parliament to give us the powers we need to do that. But we also want to sign new agreements with key partners. And we also want to use this opportunity – a seat at the international table for the first time in 40 years – to instil our values in the international system. Regulation is a good example of this. Thanks largely to the WTO’s success in lowering tariffs, technical and regulatory barriers to trade have become comparatively more important. Yet too often regulatory reform is presented as simply lowering standards. This is a straw man invented by those who take a generally anti-trade view. No-one wants a regulatory race to the bottom – least of all the UK, where our comparative advantage lies in quality not price. It’s not about high regulation versus low regulation, but good regulation versus bad regulation. Often you can achieve the same aim from regulation through a different route. For example, cars made under EU and US regulations have similar safety records, despite very different standards. That’s why we should move away from regulatory identity and towards regulatory equivalence – starting, as the Prime Minister said last week, with our future trade relationship with the EU. If we can get likeminded countries to follow our lead, the opportunities are enormous – they would increase growth in our trading partners and therefore increase demand for our goods and services. For me, the firms represented by these chambers are a source of inspiration. Time and again, they have proved themselves infinitely adaptable. Time and again, they have proved that they are forward-looking, and willing to rise and meet the challenges and prospects of a new era. Time and again, they have driven this country to new heights of wealth and prosperity. We are on the verge of a bright, prosperous future. The opportunities are there for the taking. We need only the courage to seize them.